from 3 pcs. 2,19 EUR ea. from 10 pcs. 1,90 EUR ea. from 20 pcs. 1,76 EUR ea. from 40 pcs. 1,63 EUR ea. Bestseller: Almost 500 000 sold! 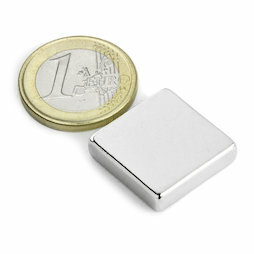 A very flat, square block magnet. Very popular in metal construction, machine and plant construction and interior fittings.